the kisses of his mouth! More delightful is your love than wine! Bride of Christ? We will explore these questions here. did? How did this happen? 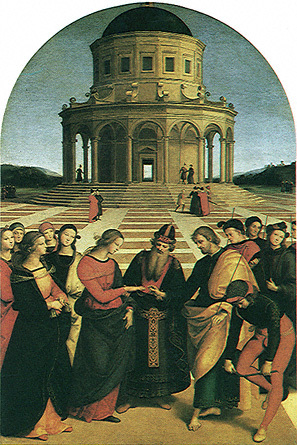 However, Mary was viewed as a real-life bride too, the bride of Joseph, as this painting “Marriage of the Virgin” affirms. Perhaps more than any other factor, it was the need for real-life spiritual models that molded Mary into a Bride. Regardless of the reasons, in 370 Ambrose officially identified Mary as the Bride in The Song of Songs, linking her with Paul’s symbol of The Christian Church as Bride (A, B). The title “Bride of Christ” was soon extended to nuns and to each Christian’s soul (B). Thus, both Christ and Mary became Spiritual Lover. gained power to rule the land, and the fertility of the land was ensured. Through participating in the ritual, the king agreed to sacrifice his life for his people. Sometimes the king’s life was called for, and he was ritually sacrificed. In some of the oldest surviving literature, written on clay tablets in Sumeria, the rite of Heiros Gamos is described (E). 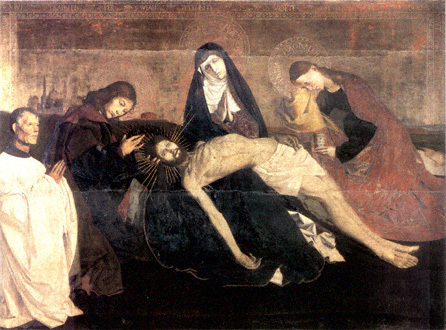 The rite includes mourning the dead king, recalling images of the Pieta, shown here. 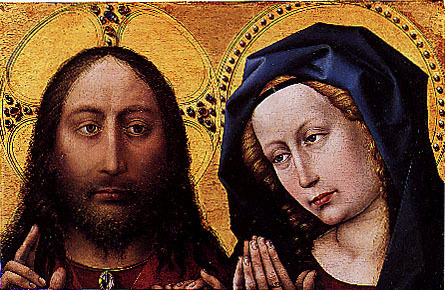 Mary Magdalene is associated with this rite as well (F). order. 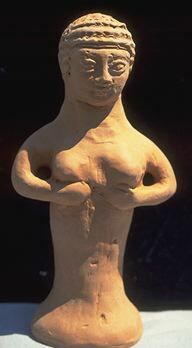 In Greece, men who worshiped Venus performed the same ritual. 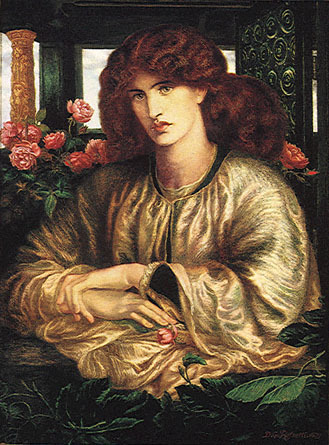 Venus was also known to firmly grip the rings of the men she loved. In addition, Mary shares titles with Love Goddesses.